Welcome to The Faculty of Science resource bank for teachers in schools. Here you will find useful links and information about how your school can get involed with our activities. Arrange a school visit by the University of Warwick. Thinking about University is an impartial guide for children in school years 5 to 13. Find out more about the school based activites happening across the University of Warwick. An effective link between the University of Warwick and schools. Here are some great resources to keep the science spark burning at home and in the classroom. IGGY is an online educational and social network for gifted 13-18 year olds. IGGY offers many science focused activites. 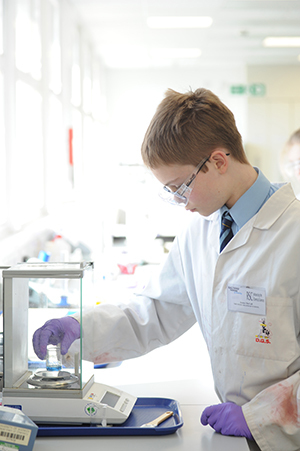 The BBC offers a a variety of educational science resources for 11-16 year olds.